Fractl partnered with BuzzSumo to analyse the one million most-shared articles from the first six months of 2014. Collectively, these articles generated more than 2.6 billion shares, and a whopping 81.9 percent of these happened on Facebook. 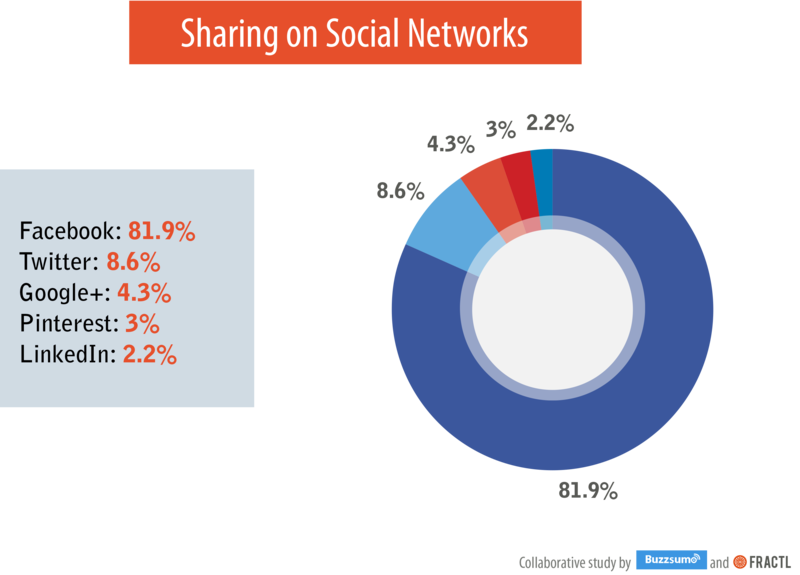 Twitter finished second in the study, with 8.6 percent of shares, ahead of Google+ (4.3 percent), Pinterest (3 percent) and LinkedIn (2.2 percent).